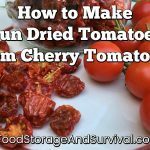 There are many different reasons and scenarios for which to be prepared. One that isn’t covered too often is surviving a mass shooting. Do you know what to do if you find yourself in one of these attacks? 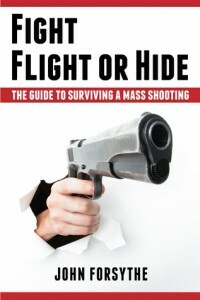 In Fight Flight or Hide: The Guide to Surviving a Mass Shooting, John Forsythe outlines ways to prepare for and respond to a mass shooting. This book is an easy read–you can probably have it done in one or two sittings. I downloaded it to my Kindle and had it read in a couple of days. In the book, Mr. Forsythe covers some common myths about firearms (like guns are not death rays), situational awareness, and the three roles you could play if you are involved in one of these shootings. Will you be a victim, a guardian, or a hero? Of course, we all want to say hero, but the other roles can be just as important and which you end up being could be determined by your situation, location, and mindset. Mr. Forsythe details how to do fill each role the best way, so no matter which role you end up filling you have the best chance of survival and helping others. So if you’re looking for a quick read full of useful, common sense information on surviving a mass shooting, check out Fight, Flight, or Hide.